Students at Eastside are working hard toward many academic goals, but we also are working towards positive character. One way we build character is with our PRIDE acronym. It stands for the traits we look for in a good student and citizen. Perserverance, Respect, Integrity, Dependable, and Engaged learners are those who will succeed! Each month we focus on a specific trait and word from our acronym and examples of each are displayed in the classrooms and around the building. 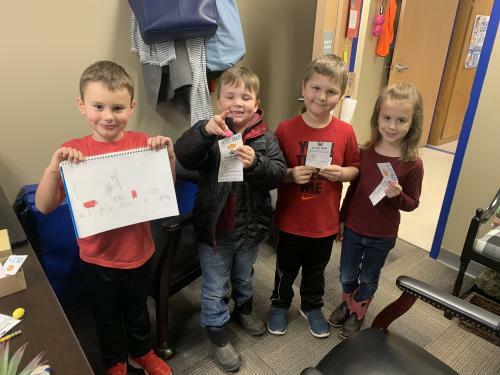 Last week, several students visited Mrs. Manning to show off their PRIDE tickets! These are given to students when they are showing the trait in the classroom. These students were engaged in writing, perservering through difficult tasks, or respecting others during group work! 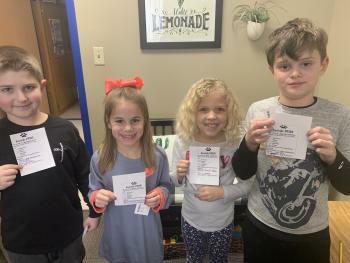 It is great to see students working toward building their character and their excitement when they are successful!